After a frankly demoralizing salad at my desk I have escaped my bonds for a quick refreshment in my local hostelry of choice and in the form of this sharp, racy version of a palo cortado by Faustino Gonzalez. 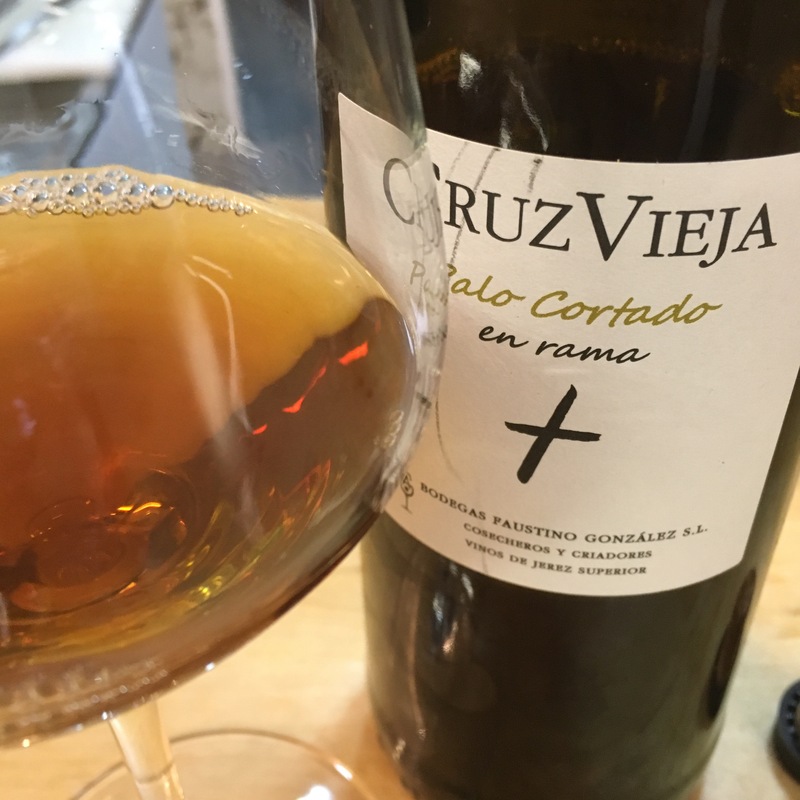 These guys label everything as en rama – which strikes me as odd for these older wines – but for whatever reason it does come across as a smidgen dull and cloudy to begin with. It is defined on the nose alright. Has a piercing, sawdust and tomatoey vinegar nose – really sharp. Then sharp again to start with on the palate, followed by dry, woody caramel flavours (notes of amontillado, as the back label says) and a bitter, zingy, mouthwatering finish. Sizzling, acidic stuff but maybe lacks the depth of flavour to balance that sharpness.